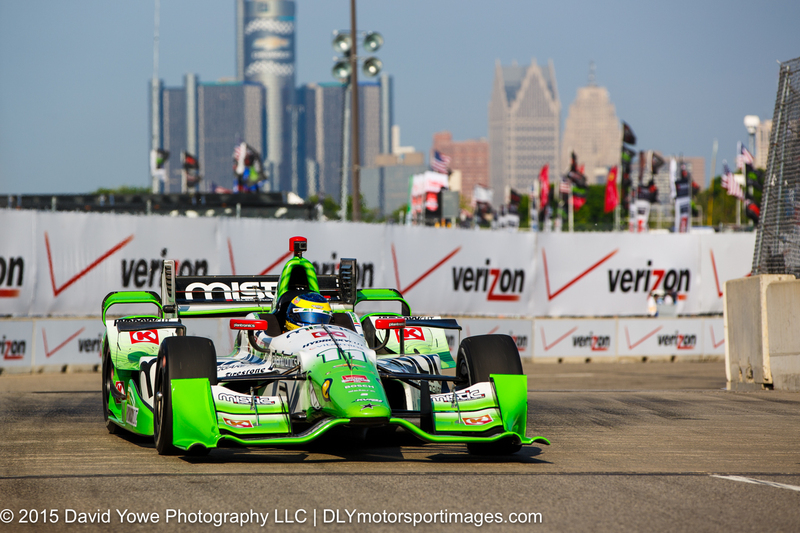 Saturday morning practice for the IndyCar Chevrolet Dual in Detroit Race 1 was held under sunny blue skies. These weather conditions would be in contrast to the weather conditions that were experienced later in the day. Hope you like the photos. 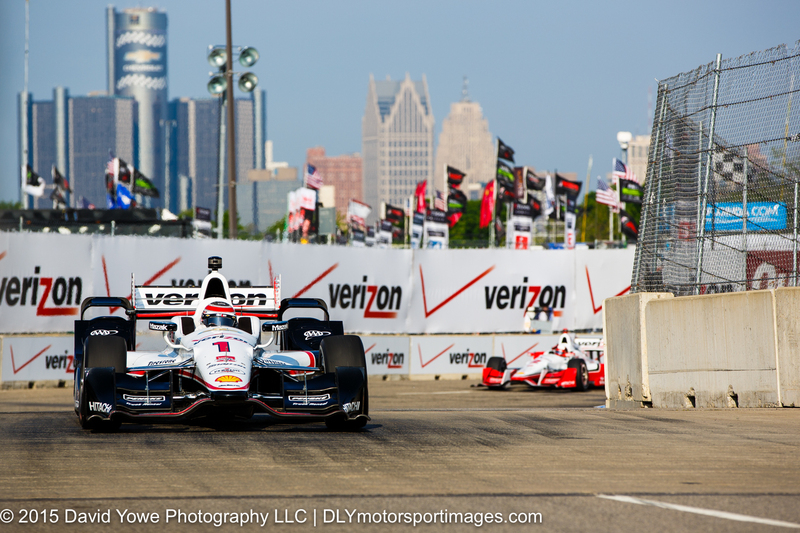 Pole sitter, Will Power in the #1 Team Penske Chevrolet leads team-mate Juan Pablo Montoya through Turn 2 with the Renaissance Center in the background. 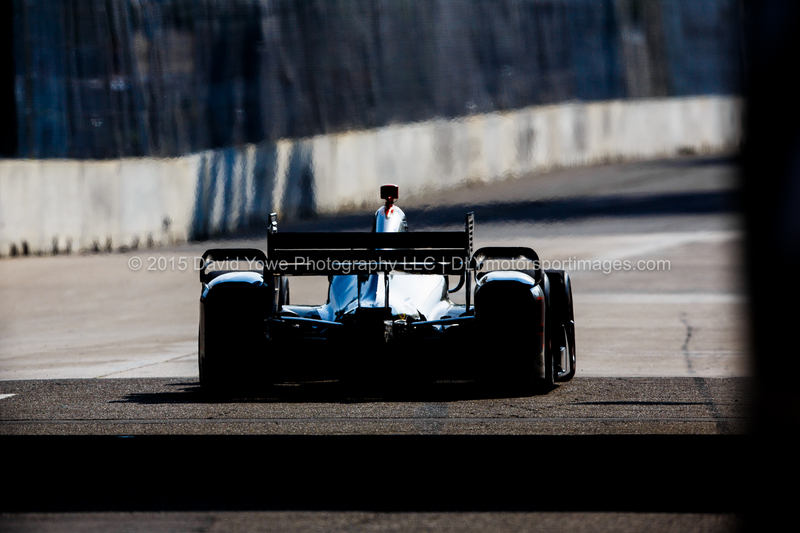 Sebastien Bourdais in the #11 KVSH Racing Chevrolet. 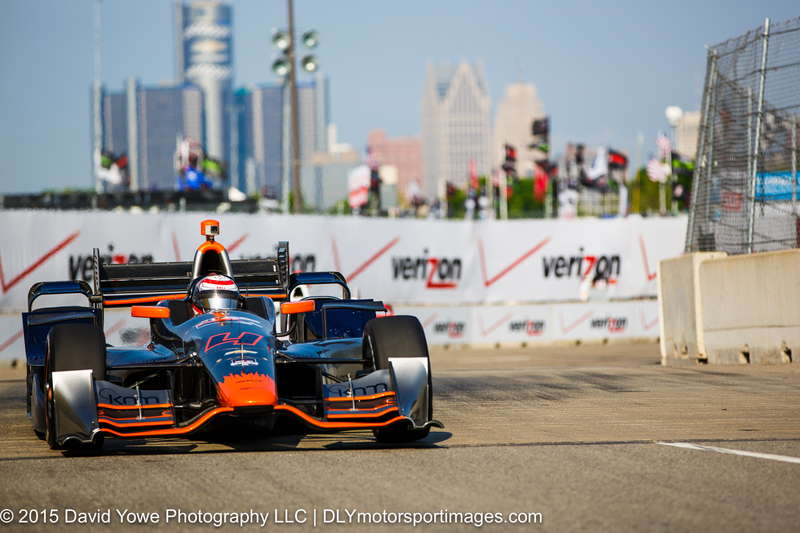 Through Turn 2 with Stefano Coletti in the #4 KV Racing Technology Chevrolet. 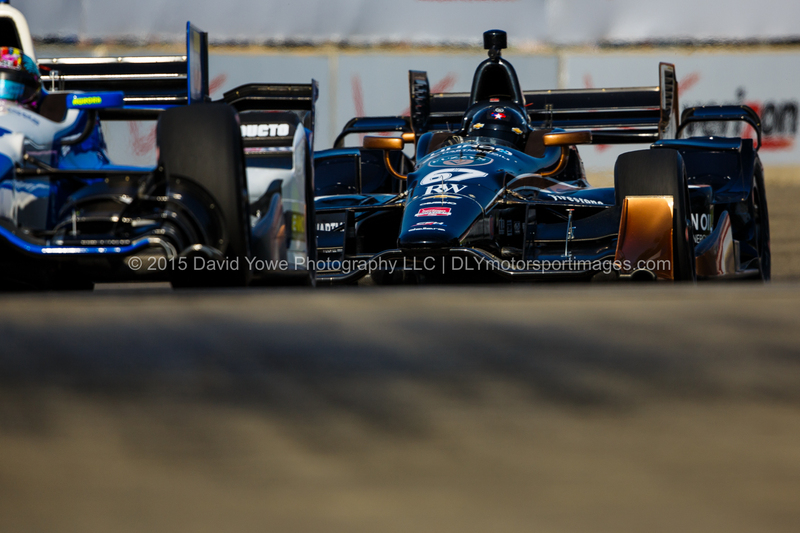 “Eye-level” with Josef Newgarden in the #67 CFH Racing Chevrolet.